Times Two is thrilled to bring a percussive program to the Sound Bites series at the Museum of Fine Arts, Boston. Shining the spotlight on Times Two co-director, Maria Finkelmeier, this program will feature new works from Finkelmeier’s brand new album a line that terminates at the present. 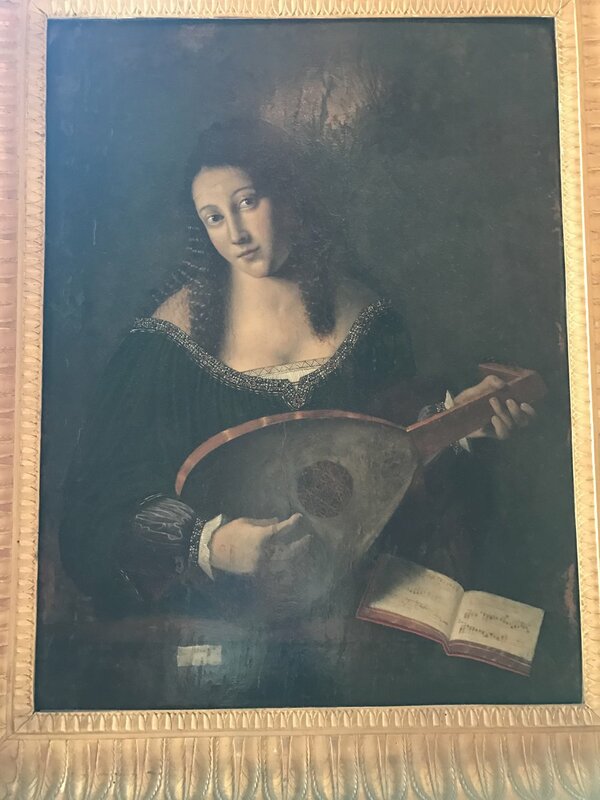 A multi-genre representation of her interest in a plethora of current sounds, blending a classical background with electronic beats and pop inspired melodies, the sounds will take the listener on a musical journey as they explore the Linde Family Wing for Contemporary Art. The concert will feature percussion quartets performed by Kadence Ensemble inspired by her large-scale score from "Know No." a commission by the Boston Center for the Arts; marimba, drums, and electronics works featuring Masary Studios; and a collaboration with saxophonist/poet Tim Hall. Album art by Boston-based multimedia artist Elisa Hamilton will also be on display. Click here for more info on the MFA website! My Swedish-American group, Kalos, is getting together once again, but this time we're taking our sound to the land of mystic landscapes, the Blue Lagoon, and good friend/composer Gísli Jóhann Grétarsson! We'll be in residency at the Reykjanesbaer Music School with a showcase at Hljómahöll's Berg Concert Hall premiering a new work by Gísli, with lyrics by Anna K. Larson, and my new piece for the quartet with lyrics by the inmates that I met this summer teaching on Rikers Island in NYC. This project is made possible in part by a Foundation for Contemporary Arts Emergency Grant. Performed in collaboration with and response to Fujiko Nakaya’s Fog x FLO at the Arnold Arboretum, the musicians will be placed on the perimeter of Hunnewell Hillside, some starting on the path above, and descending to the open space, just as the fog ripples over the hillside, and others weaving in between listeners. Audience members are welcome to sit and listen, or wander through the hillside as the sonic experience guides them. A version of Flow Through was first performed as a part of Make Music Boston's Water Music on the Charles River Esplanade on June 21, 2018. Kadence Arts is thrilled to bring this piece to the Fog x FLO at the Arnold Arboretum, the host of our 2016 production of John Luther Adams' Inuksuit. This Boiler House Jazz series, curated by celebrated local jazz musician and composer Ken Field and John Bechard of Journeys in Sound takes place in the Charles River Museum's Main Gallery, the last boiler house of the Boston Manufacturing Company. The BMC was the United States' first integrated factory, where the American Industrial Revolution took flight. The Boiler House is where they generated steam, first to turn overhead line shaft systems, then to spin dynamos for electricity, and finally to heat the place. 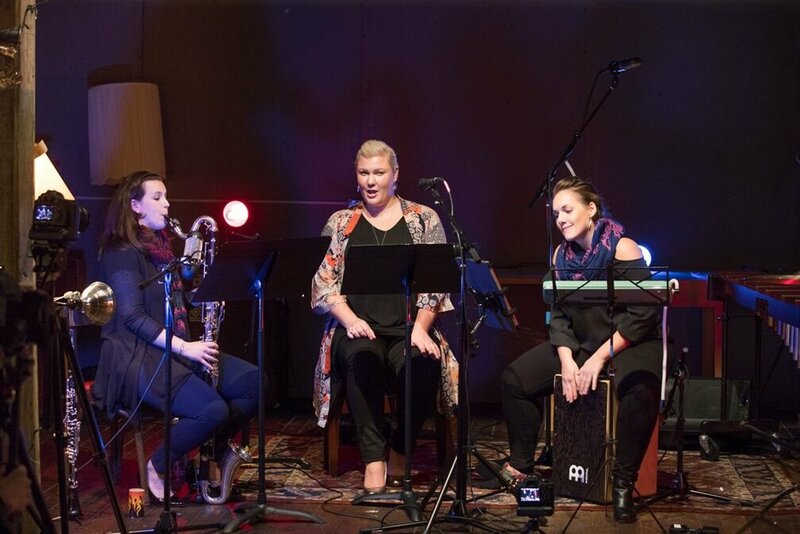 The Boiler House Jazz Series has been created to demonstrate the wide stylistic and geographic diversity of that most American art form, and to present jazz that is a bit different from what many people imagine when they think of "jazz." 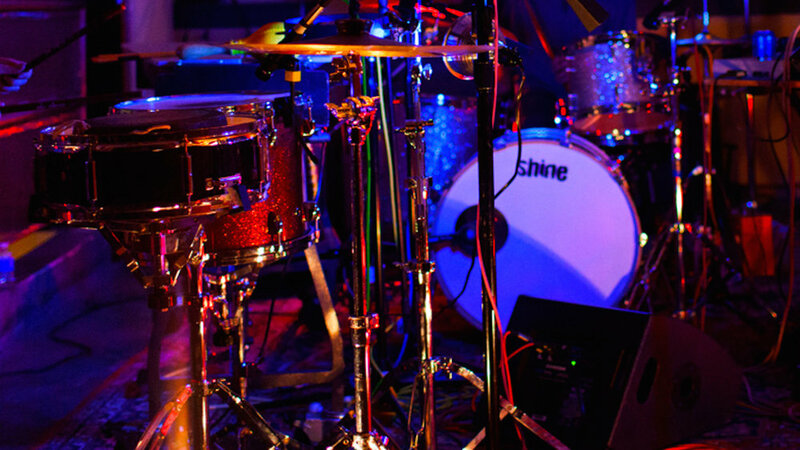 Drums have been an essential part of the musical language longer than any other instrument besides the human voice. Join us as we welcome composer and percussion phenom Maria Finkelmeier to the Phoenix stage for a night of everything percussion. From Finkelmeier's arrangement of Contrapunctus XIV from J.S. Bach's 1750 Art of Fugue to the World Premier to her own Daft & Gritty for chamber orchestra, it's a night of drumming! This multimedia performance by Boston-based collective Masary Studios poses the questions: How is truth defined, and how do different perceptions of truth converge in public spaces? 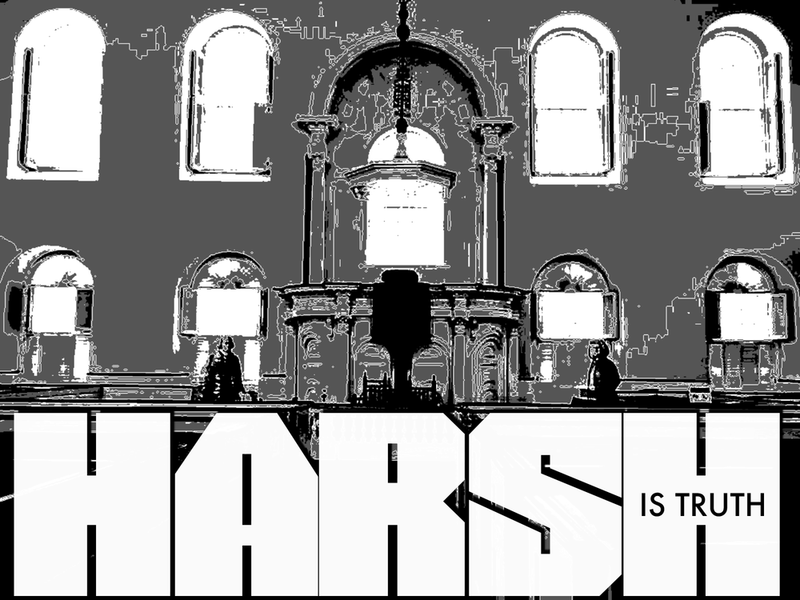 Live, original music fused with video projections will highlight Old South Meeting House’s unique history as a place to rise, resist, and share one’s personal truth. Responses to questions about truth, action, and change – stories, poems, and phrases sourced from recent visitors on Boston’s Freedom and Black Heritage trails – will be featured in the performance. Visitors can explore the transformed space at 6:30 pm, with the performance from 7:00-7:45 pm. After the performance, talk with Masary Studios artists, National Park Service representatives, museum staff, and other audience members on the competing truths that have built our nation and will shape our future. 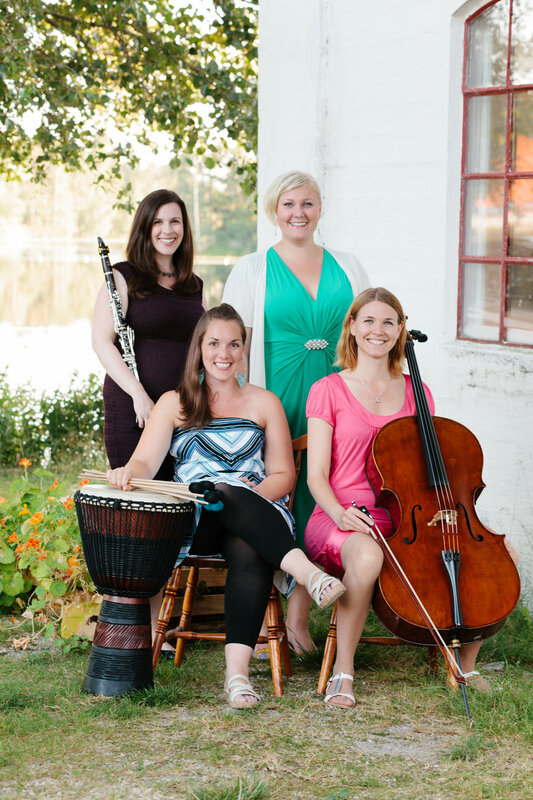 Anna K. Larson, voice (Frändefors, Sweden), Angela Shankar, clarinet (NYC), and Maria Finkelmeier, percussion (Boston), come together once again to perform new works and arrangements fusing their Swedish and American roots! Works by the ensemble and Beau Kenyon (Boston), Seth Bedford (NYC) and Gísli Jóhann Grétarsson (Oslo, Norway) incorporate a combination of contempoeray classical, folk, and musical theatre styles. 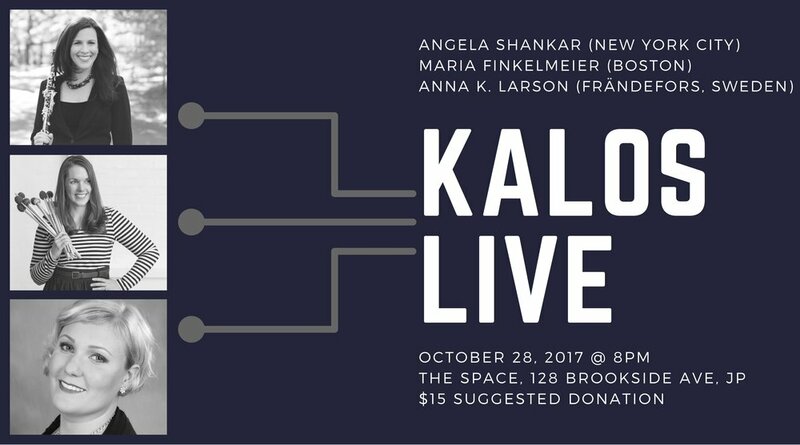 Kalos will be in residency at Avaloch Farm Music Institute from October 23 - 28, with this performance concluding the week intensive. This project is supported by the Live Arts Grant from The Boston Foundation! Thank you TBF! New Boston-based duo, Box Not Found opens! Anna Larson (vocals), Angela Shankar (clarinet), and I will join together once again to marry our Swedish and American roots to compose and arrange new works for our ensemble. This year, we'll be implementing electronics into our work as well as workshop commissions by Beau Kenyon (USA) and Gísli Jóhann Grétarsson (Iceland/Norway). We will be in residency at Avaloch Farm Music Institute from October 23 - 28, with a performance in Boston to conclude the intensive. This project is supported by the Live Arts Grant from The Boston Foundation! Thank you TBF for believing in our work! I will join the Silkroad Ensemble with Yo-Yo Ma at OBERON! I had the priveldge of working with members of the ensemble at the Global Musicians Workshop in 2015, and this will be my first time joining them in a performance. Join us for a meet and greet with the musicians at the bar after the show! 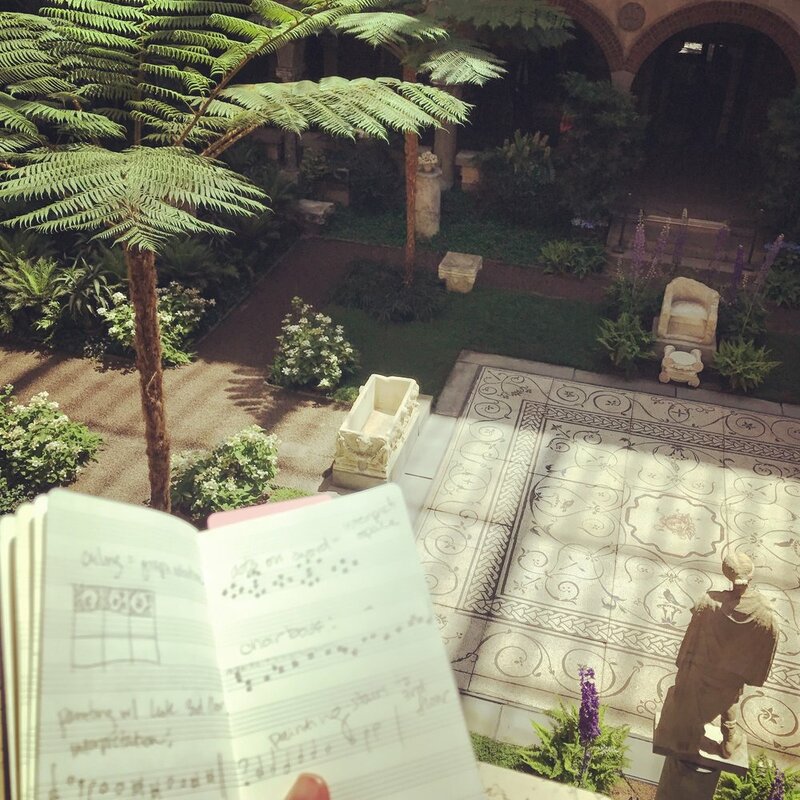 Join me at the Bertucci Education Studio at the Isabella Stewart Gardner Museum to create music and sonic realizations of the ISG! 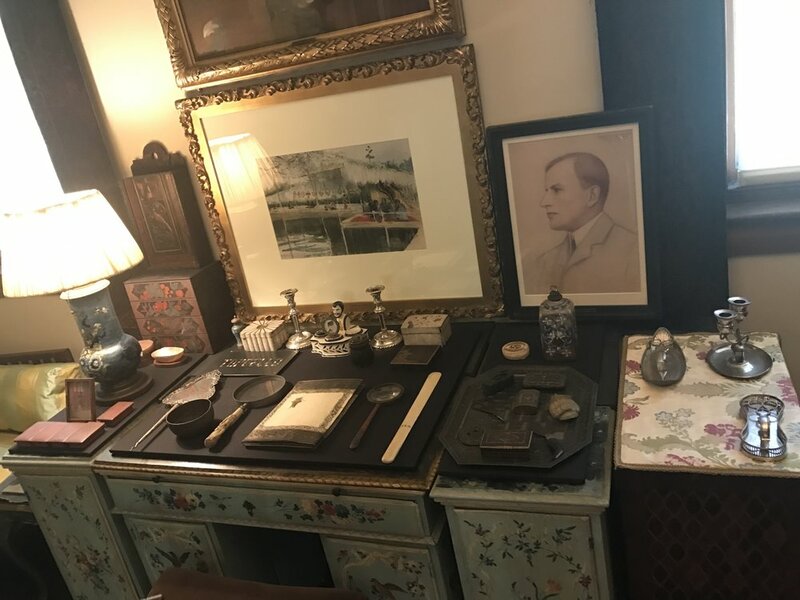 Inspired by the works in the museum, including notes from composers, paintings, sculptures, and more, I've created this workshop to invite participates to compose in a way that is meaningful and reflective of the museum. I'll even perform YOUR work! Tickets on the ISG website! Isabella Steward Gardner Museum's Neighborhood Night: Block Party! 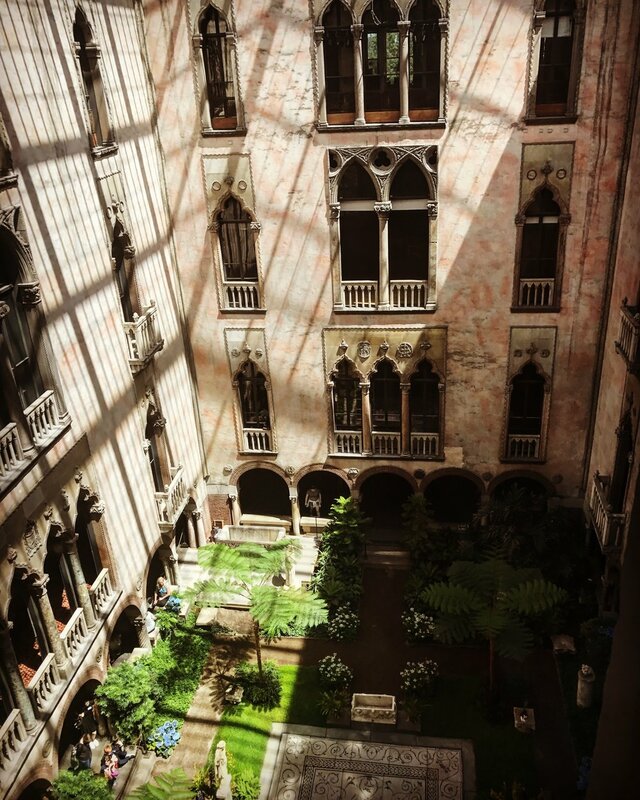 Ryan Edwards (of Masary Studios) and I will perform at the Isabella Stewart Gardner Museum for Free Fun Fridays, sponsored by the Highland Foundation. 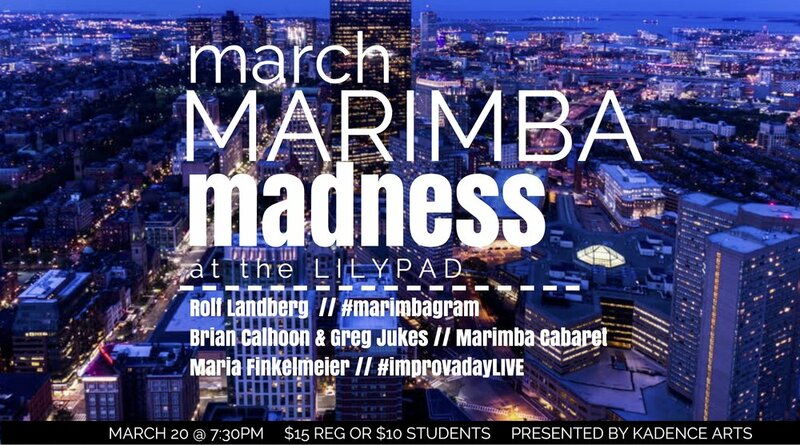 We will play our original music for electro-acoustic drum-set and marimba in the courtyard! Kadence Arts presents the New England premiere of composer/performer Jason Treuting’s evening-length, multimedia, large ensemble work Amid the Noise on April 21, 2017. Pulsating drones, ambient noise textures, and subtly shifting rhythms bind this collection of nine pieces for mixed percussion, voices, and strings. Described as “a remarkably beautiful and atmospheric work” (All About Jazz), the performance would take place at Le Laboratoire Cambridge, steps from the Kendall Square MBTA stop. Please join us for an opening reception featuring Contour 19’s newest artists Karim Badwan, Nancy Colella, Laura Harvey, Connie Kolman and emerging artist Deborah Baye , in collaboration with Masary Studios. Experience visual art and mixed media with live performance art and video image mapping in a setting with the gallery’s 15 original artists. Lite bites, beverages and beer by Zelus Beer Company will be provided. 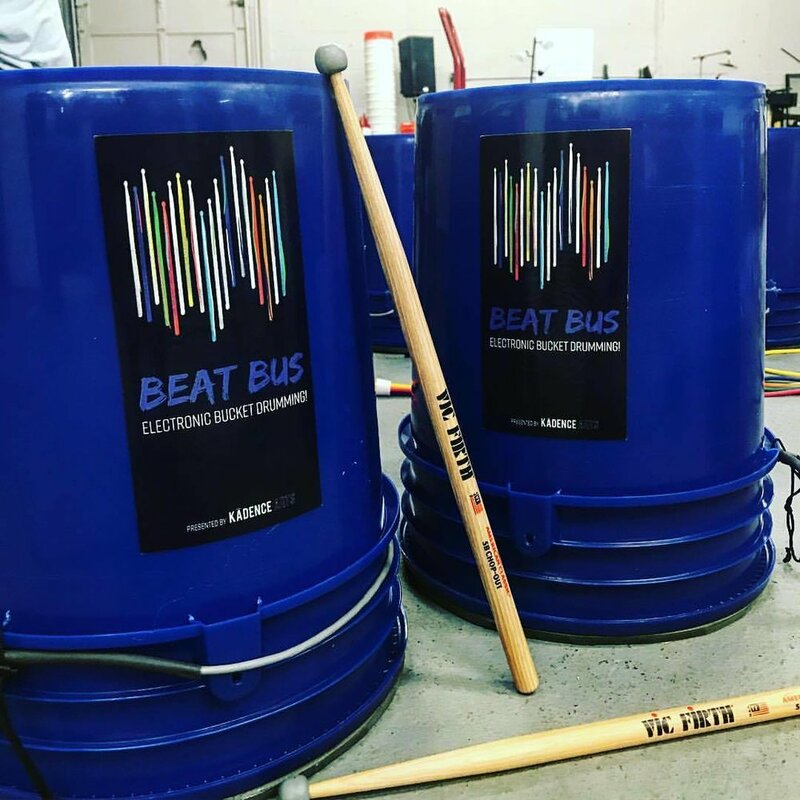 Supported by a Boston Cultural Council Opportunity Grant, I will offer two Beat Bus workshops for FREE at CityPOP Egleston. Open to ages 7 - 16, please join us! Participants will learn about basic drumming technique and how to create music using the unique electronic bucket drumming system! The human reaction to the word no is complex, emotional, and visceral. Whether told to a person, a group of people, a gender, a minority, or entire society, the effects the word can ignite a movement, empower grit, but also break one down. Know No. explores that reaction, that consequence, and that rise. Use discount code "MASARY" for $5 off! Looking forward to performing a solo show at the Music Mansion in Providence, RI! I'll be performing my own works in addition to pieces by Volness, Honstein, and Wohl. More info coming soon! 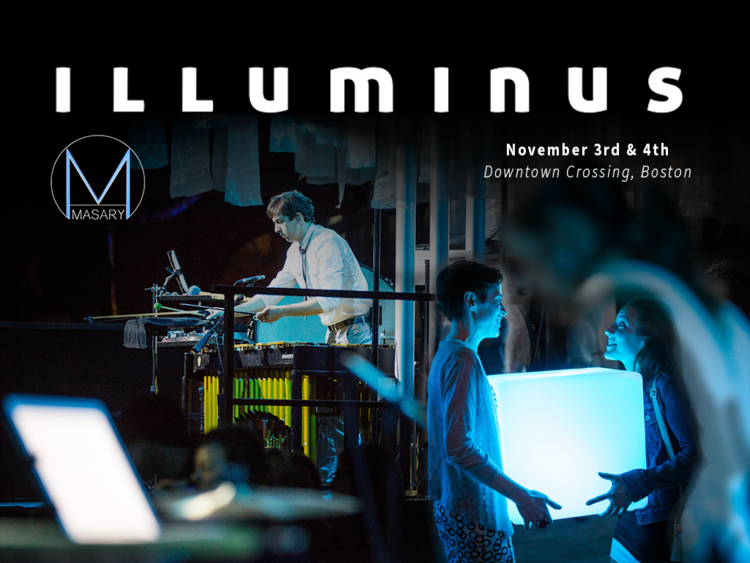 Masary Studios will take the stage at MIT Hacking Arts on November 19th, showcasing our music + projection technology and collaborative style. Masary Studios is pumped to present and perform at the Percussive Arts Society International Convention this year! Our session, "Beyond the Concert Hall: Igniting the Collaborative Spirit," will give you a behind the scenes look into our projects, most notably Waking the Monster. We'll finish the talk with 20 minutes of new work featuring percussion and live projection o the convention room wall! Tones, rhythms, and gestures entangle as you discover the maze of current Mills Gallery exhibition "Fertile Solitude". Percussionists Maria Finkelmeier and Drew Worden explore a collection of timbres—from swooshes to clangs, buzzes to waves—as you choose your own physical and sound path. The two musicians will have musical set ups throughout the gallery, producing sonic responses to the pieces surrounding you. Ryan, Samo, and I (of Masary Studios) have created the closing number for the TEDx Cambridge Fall event at the Boston Opera House. Looking forward to jamming with these great folks on such an iconic stage! 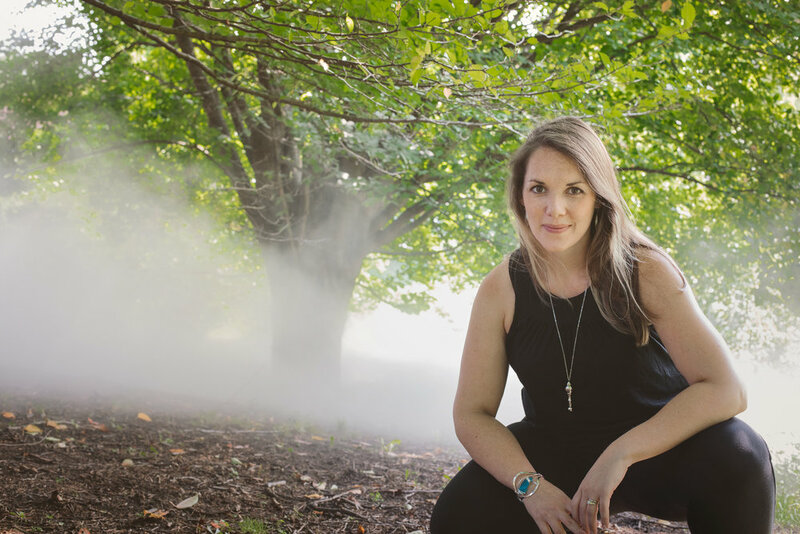 Mix the musical traditions of Native American, Appalachian, and English folk to get the one-of-a-kind experience that is the Martha Redbone Roots Project.Opening the evening will be a performance from Maria Finkelmeier, percussion.